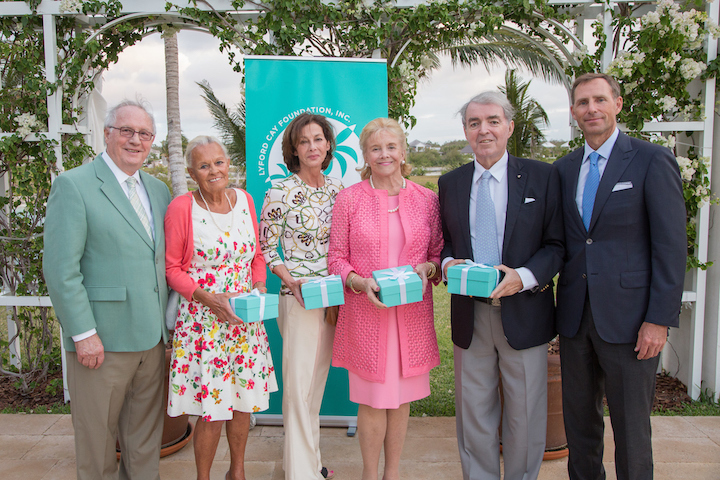 Nassau, Bahamas – Lyford Cay Foundations recently recognized long-standing board directors Catharina Birchall, Frank Crothers, Nancy Kelly and Loretta Rogers for their extraordinary service and philanthropy over the past 20 years. Lyford Cay Foundation, Inc. and The Canadian Lyford Cay Foundation are private philanthropic organisations established in 1969 and 1977, respectively. The Foundations’ mission is to invest in learning opportunities for children, young adults, families and communities, all made possible by the generosity of donors. Through a variety of programmes the Foundations’ assist children in school as they prepare for college, students leaving school with scholarships to attend college in The Bahamas and abroad, and non-profits providing learning opportunities. To date more than $50 million has been invested in the lives of Bahamians.